Who hasn’t dreamt at one time or another of living on a boat? Along with treehouses, floating houses hold a special place in the human imagination. 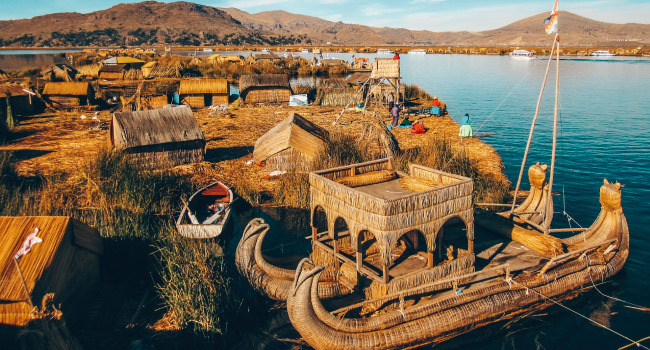 The Uros people of Lake Titicaca take this dream and push it a little further: They have created their own floating reed islands that house their villages. According to Uros tradition, they predated all other humans here and lived here even before the birth of the Sun itself on Isla del Sol. Also according to tradition, the Uros have black blood which protects them from the cold and from drowning. While the blood story may not be true, the Uros do have an incredible tolerance to cold, since the dried reeds that make up their homes don’t allow them to heat their houses due to risk of fire. Before the Inca invaded the region around the lake, the Uros lived on the shore in conventional towns and villages. 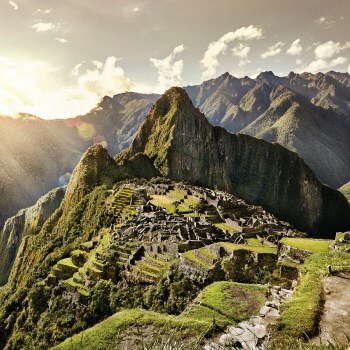 However, while other groups either bent the knee to the Inca conquerors or fled deeper into Bolivia, the Uros came up with a very novel solution: let the Inca have the shore, and live on the lake itself. 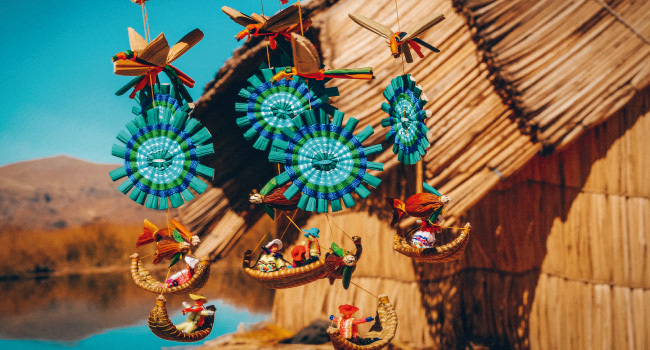 They constructed huge mats of the local totora reeds (which they also use to create nearly everything else the use), and set sail on the world’s highest navigable lake. 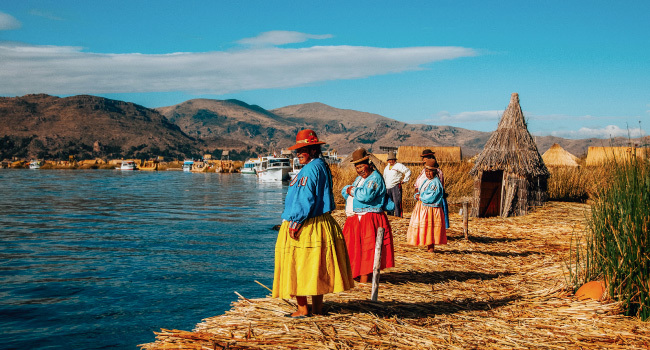 The Uros remained isolated in the center of the lake and largely overlooked by the Spanish and later the Peruvian and Bolivian governments, until a large storm in 1986 forced them closer to the shore to repair and get help. 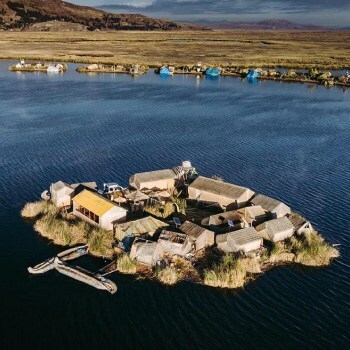 Since then, many Uros have left the floating islands to join mainstream society, but a large number have preserved their traditional way of life on the islands. The construction of the reed islands are true feat, as new reeds must be constantly added to the top to replace ones on the bottom that have dissolved into the water. Reed houses, stone stoves and fireplaces, and watchtowers all have to be supported by the island, as well as the weight of the residents and any possessions or animals they own. The reeds can also be eaten as a natural iodine supplement. Despite their traditional lifestyle, the Uros are not anti-technology, and many own televisions, radios, and motorboats. They even have their own radio station broadcasting from one of the islands, and two schools also on the floating islands. 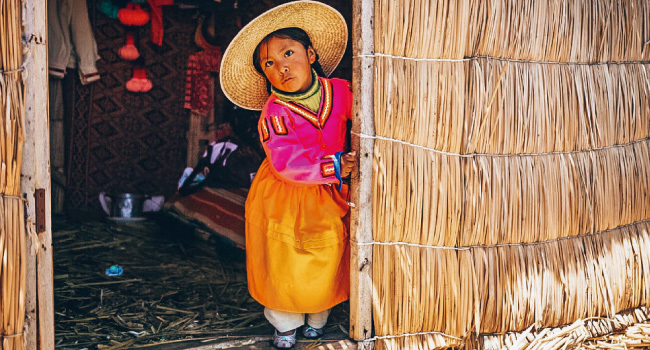 A great highlight for any Lake Titicaca tour is a homestay with a local Uros family. 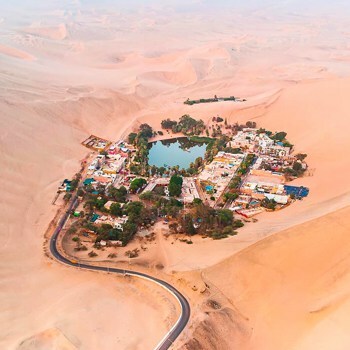 These can be booked through our partner FindLocalTrips.com. You can also get rides on one of the traditional reed boats for an extra. 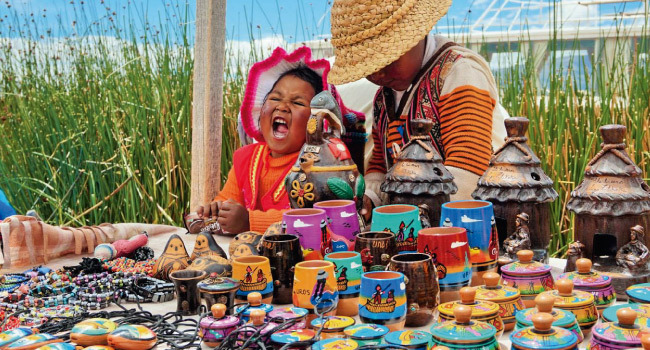 You will probably need a translator, as many of the Uros do not speak English or Spanish, but a dialect of Aymara. The “ground” on the reed islands feels unstable and spongy, but people have been living on it for hundreds of years, and you are in no danger of falling through to the water. The trips usually include a breakfast, lunch and dinner (probably of fish or cuy), homemade by one of the local families. 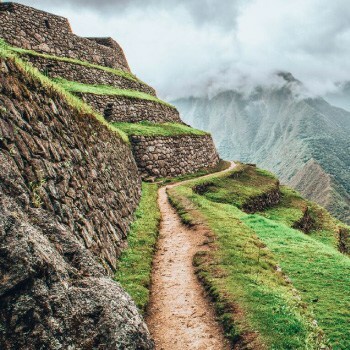 Trips booked through Find Local Trips will also include an English and Spanish speaking guide and interpreter, as well as transportation to and from the floating islands to your hostel or hotel in Puno. 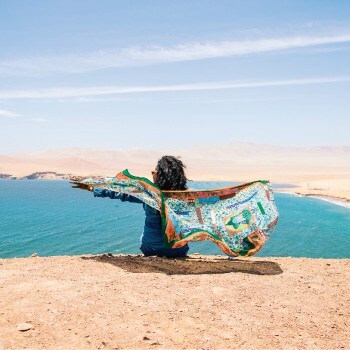 The safest, most flexible, and most enjoyable way to get to Puno and Lake Titicaca and its floating villages is through Peru Hop’s hop on, hop off bus service. 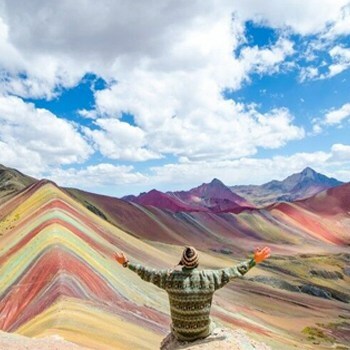 With endpoints in Lima, Cusco and La Paz, as well as stops in Puno, Paracas, Huacachina, Puno, Arequipa and Copacabana, Peru Hop is your best bet for transit around southern Peru and northern Bolivia. We have local guides fluent in both English and Spanish, with personal experiences of the stops and sights. At any of our stops you can get out, spend as much time as you want, then hop back on the next bus following your route to your destination, all on the same ticket. 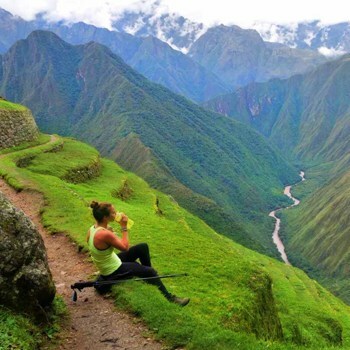 FindLocalTrips.com is the best way to find tours, activities and guides in Puno and Lake Titicaca and all over Latin America. 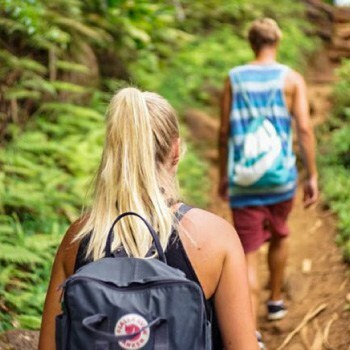 Everything available on Find Local Trips in owned by local small businesses, and is carefully screened for safety, quality, and business ethics, so you can rest your mind and enjoy your trip. Your money will go into the local economy rather than into the coffers of a large, multinational tourism corporation. To book an Uros Island Tour we strongly recommend that you use FindLocalTrips.com a search and comparison website for tours across all of South America.